Delighted to conduct the Borough Welsh Choir on BBC Radio 2’s Jeremy Vine show for St David’s Day. 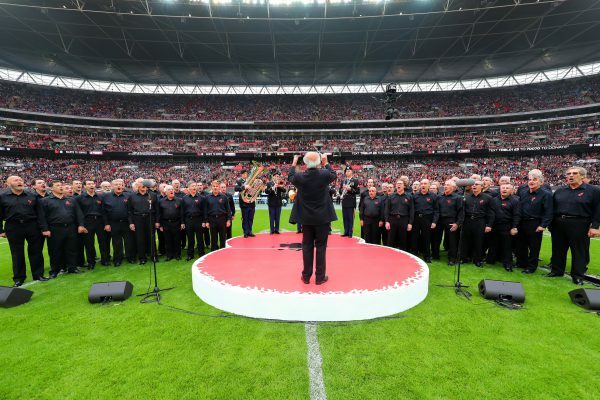 Privileged to be at the Stadium with the Flint & Pendyrus Choir for some amazing singing from choirs and supporters, ahead of the Wales victory against England; this was followed by Wales v Ireland with Eschoir & Pontarddulais Male Choir, when Wales took the 2019 Grand Slam. At its recent AGM, the Hart Male Voice Choir approved the appointment of Haydn as its new President, a position he was privileged to accept. On May 22, Haydn joined The Borough Welsh Choir to share the conducting with Mike Williams at a Garden Party in Buckingham Palace. 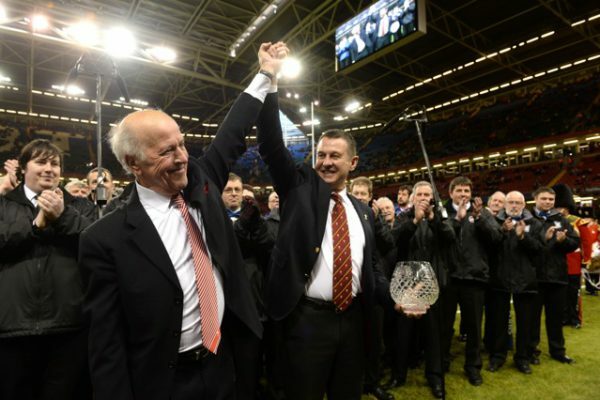 The following day, he travelled to the USA and on June 2 conducted the Welsh National Anthem and pre-match singing at Wales v South Africa in the RFK Stadium in Washington DC. 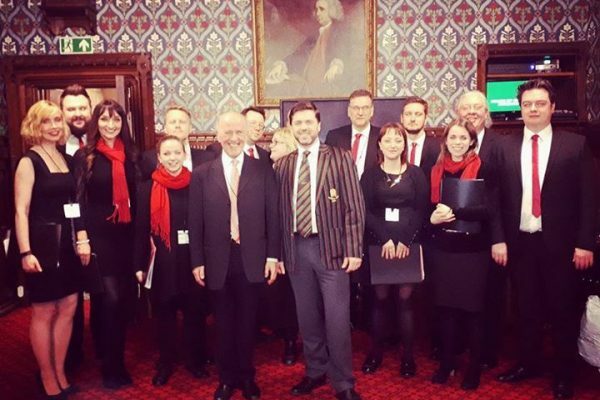 On June 3, Haydn was guest conductor with the Burlington Welsh MVC at a concert in Washington DC, and at the end of the concert was delighted to be made an Honorary Patron of the Choir. 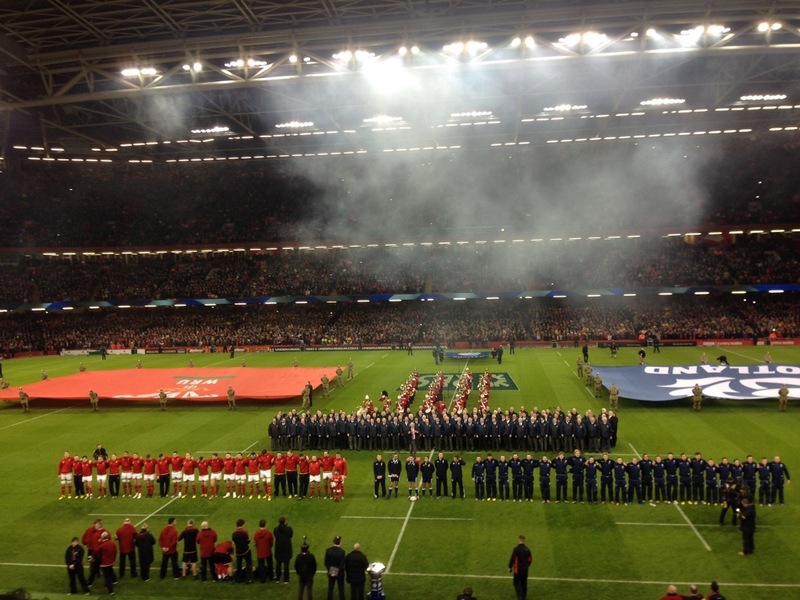 Following a rehearsal at the Principality Stadium ahead of Wales v France on March 17, Haydn was privileged and honoured to be made a Vice-President of Côr Meibion Pendyrus. Musical Director Stewart Roberts presented Haydn with a framed Certificate, as well as a copy of the choir’s new CD. 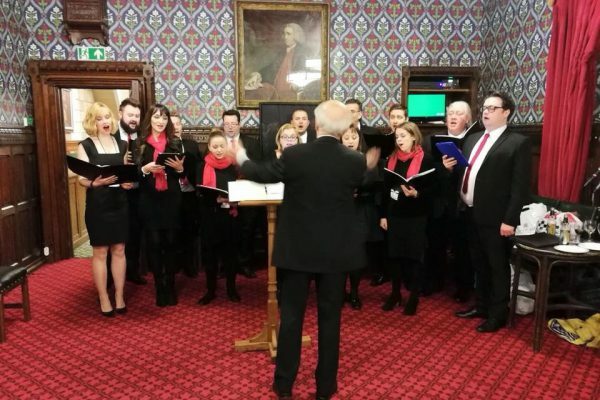 Haydn conducted The Borough Welsh Choir at a House of Commons function in February, and was pleased to direct them again at the 2018 St David’s Day Service in the Commons’ Chapel, followed by providing choral entertainment at a reception in Number 10 Downing Street, hosted by The Prime Minister and The Secretary of State for Wales. Haydn visited Boston in April 2017 to join the Boston Saengerfest Men’s Chorus in celebration of their 25th anniversary. He shared the conducting at an anniversary concert with the current Musical Director and three former Directors, and was honoured for his work with the choir since its formation. 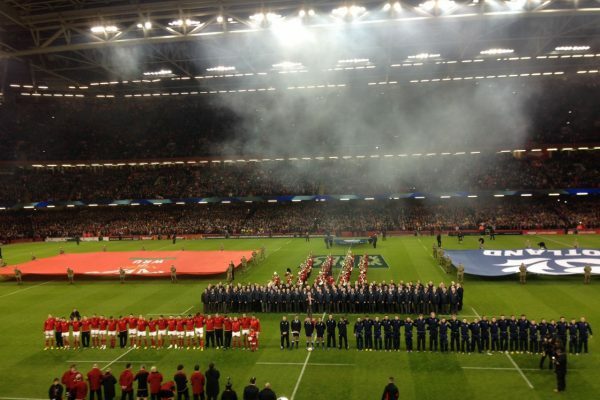 BRITISH & IRISH LIONS – Haydn was privileged to be invited to join the British & Irish Lions at their training camps in Wales and Ireland, to work with the team and support staff on music for their tour to New Zealand. Haydn joined the Maesteg and Brecon Male Choirs as a guest conductor in his home town of Maesteg, and as guest conductor at a massed choir concert in Romsey Abbey. 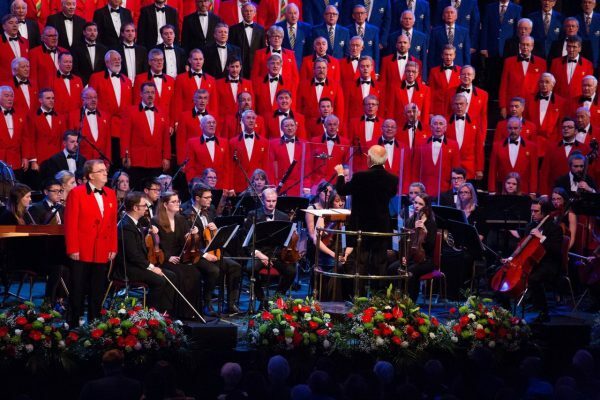 He also directed the Borough Welsh Choir, Côr Meibion Gwalia and the Rushmoor Male Choir as guest conductor in concerts during the Autumn of 2017. Haydn gave a lunchtime presentation on conducting massed choirs to the Professional Businessmen’s Club (Probus) in December – this was his second appearance as a guest speaker. He will also travel to Washington DC with Eschoir for the 2018 North American Festival of Wales. 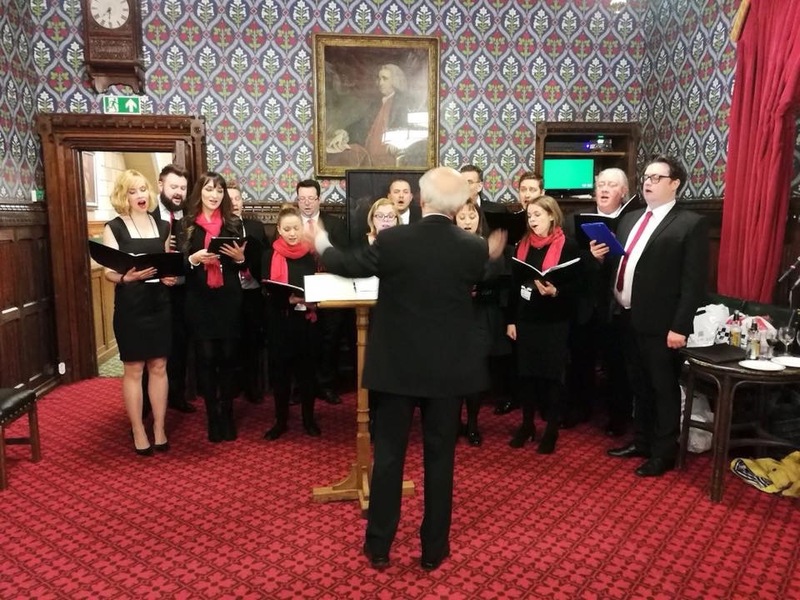 With Borough Welsh Choir at the Houses of Parliament. 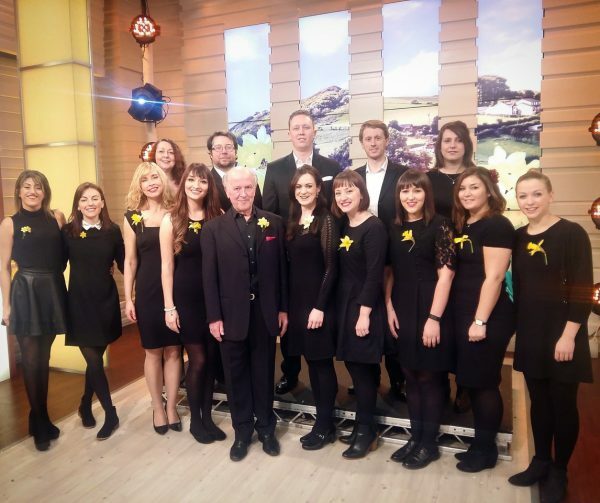 With the Borough Welsh Choir on ITV’s ‘Good Morning Britain’, St David’s Day 2017. 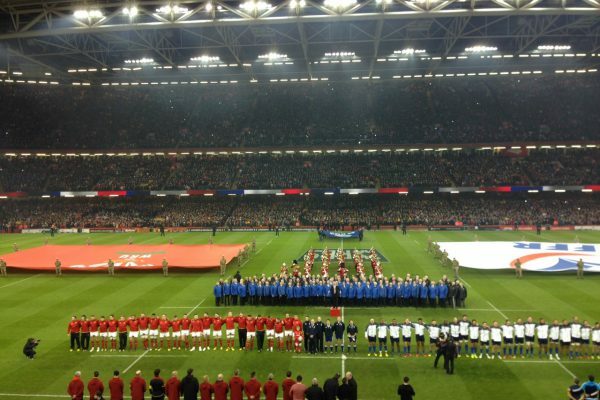 Haydn conducting band and choirs at the Principality Stadium in the 2016 Six Nations international matches (Wales v Scotland, and Wales v France). 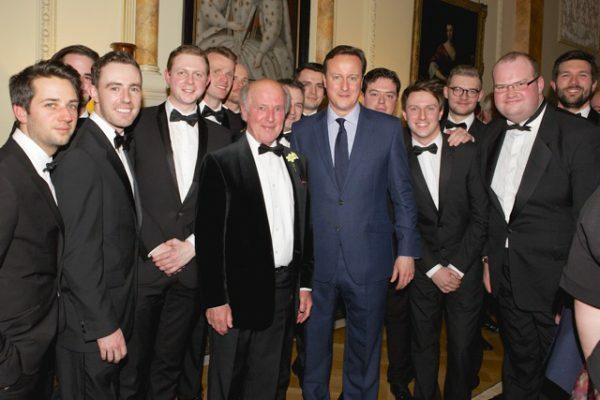 Haydn with Eschoir at a recent St David’s Day reception hosted by the Prime Minister at No.10 Downing Street. 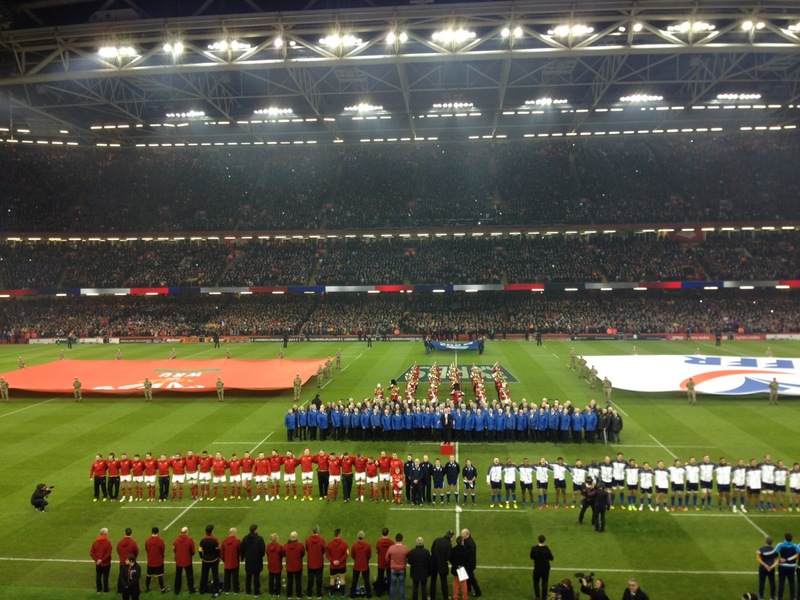 Haydn was heavily involved with the 2015 Rugby Union World Cup, conducting the Anthems at ten games in Cardiff, Wembley and Twickenham. 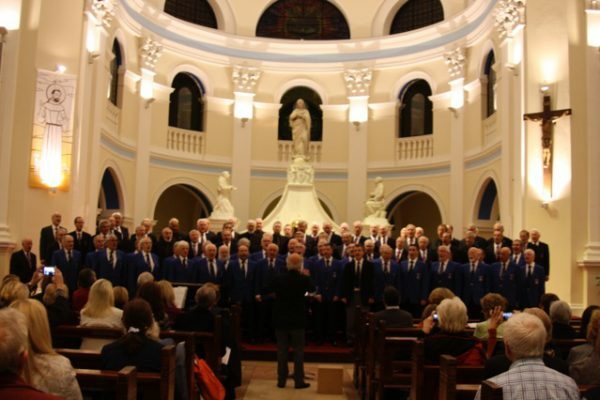 Haydn visited Ireland to work with the Boston Saengerfest Men’s Chorus in concerts with the Dublin Welsh and City of Cork Male Choirs. 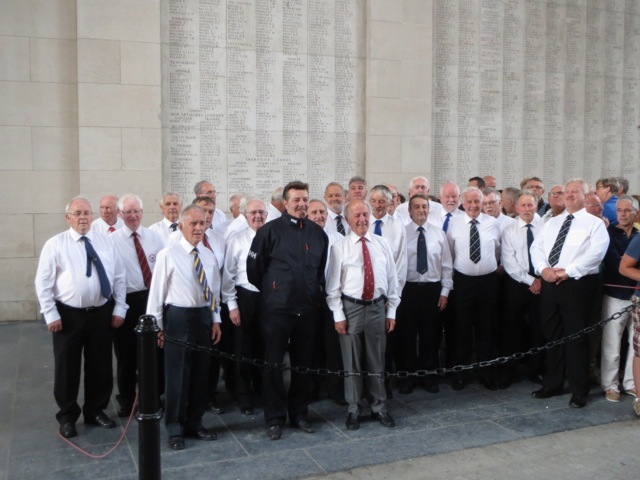 Haydn travelled to France and Belgium to conduct the Comrades Choir on a short tour, performing in Arras Cathedral and at the Menin Gate in Belgium. 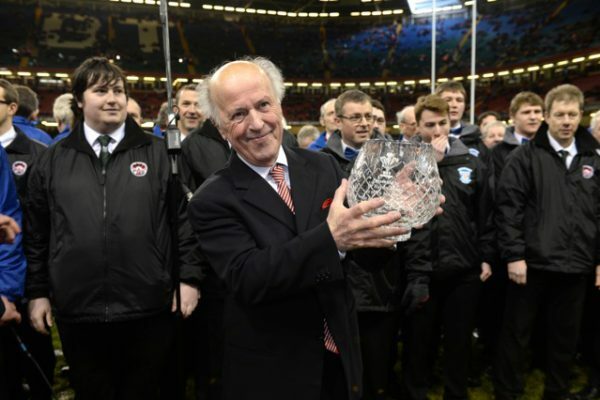 At the 2014 Wales v Italy game, the then WRU Chief Executive, Roger Lewis, presented Haydn with an inscribed crystal vase to honour his 100th appearance as Musical Director at a Wales international game. 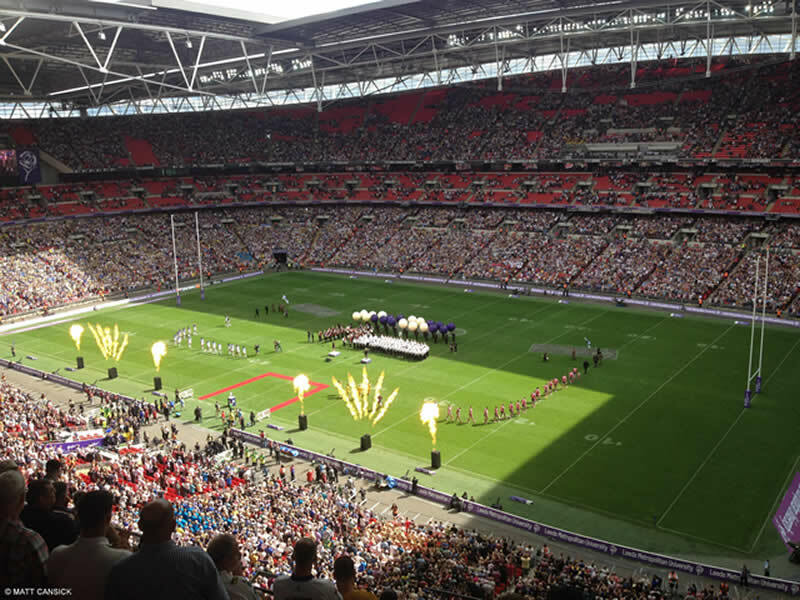 Having conducted the singing at six Rugby League Challenge Cup Finals, Haydn was appointed musical advisor for the Rugby League World Cup 2013. 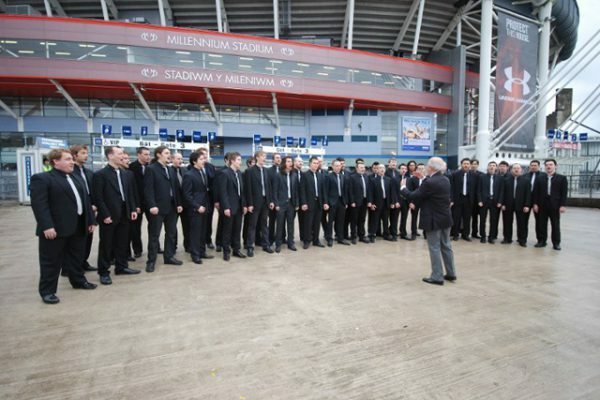 He conducted the music at the opening ceremony in Cardiff and the semi-finals at Wembley Stadium. 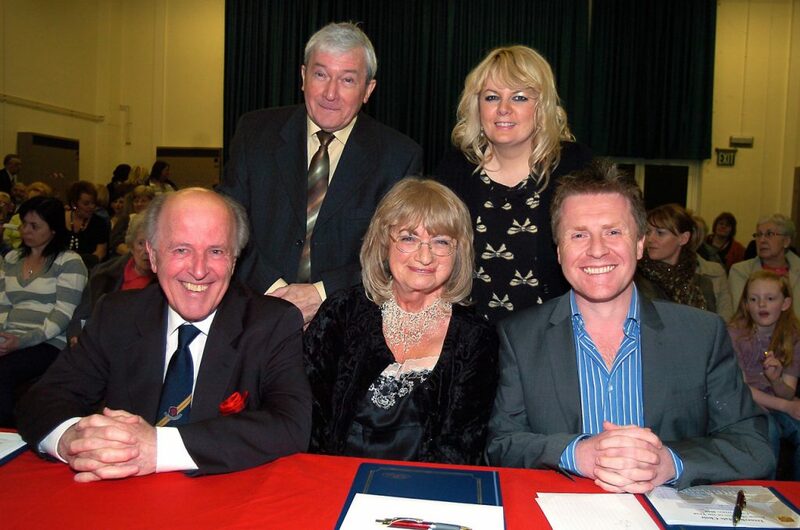 Haydn was one of the adjudicators at the Treorchy Male Choir’s ‘Junior Musician of the Year’ Grand Final. 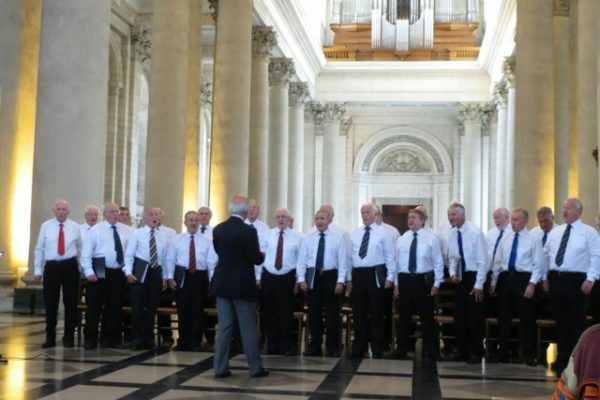 Haydn appeared as a guest conductor with the Treorchy Male Choir at their concerts in Brecon and Welshpool in December 2012, and was delighted to work with them on their Scottish tour, as well as in Chepstow Castle, Bromsgrove and Dunstable, Lyme Regis and Tidworth. 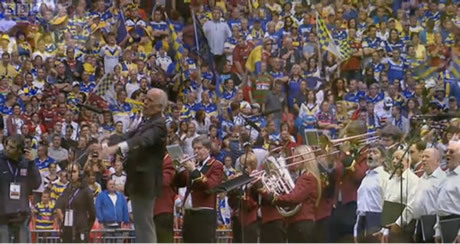 Haydn is seen here conducting the pre – match music for a Rugby League Challenge Cup Final. He led the Aveley and Newham Band with the Wessex Male Choir and the Huntingdon Male Voice Choir. Soprano Laura Wright joined choirs and band to sang the solo in ‘Abide With Me’ and the National Anthem. 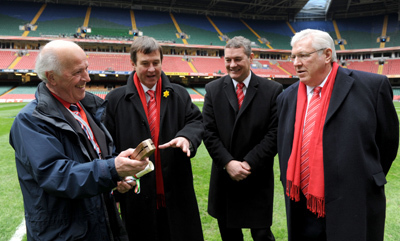 Before the 2011 Wales v Ireland match at the Millennium Stadium, Haydn was presented with a hand-carved wooden baton by WRU President Dennis Gethin OBE (right). On Dennis’ right are WRU Chairman David Pickering and WRU Chief Executive Roger Lewis, who also took part in the presentation. 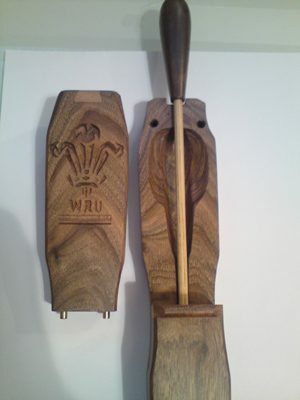 The award was in recognition of Haydn’s musical services to Welsh rugby over many years, and was accompanied by a commemorative Scroll. 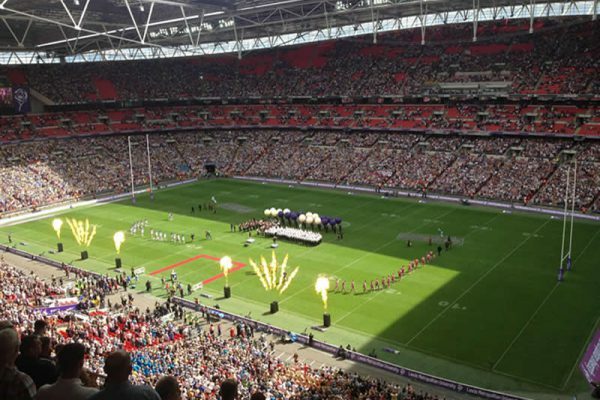 Haydn worked for almost two years with a newly-formed young male chorus, Eschoir, and conducted them at prestigious early engagements in the O2 Arena and the Millennium (Principality) Stadium, shown below. He is now an associate conductor, helping out as and when required. Haydn was appointed Musical Director for the Aberystwyth University Madrigal Choir’s 60th anniversary concert held at Gregynog Mid Wales and subsequently travelled to Aberdeenshire as guest conductor at the Stonehaven Music Festival. 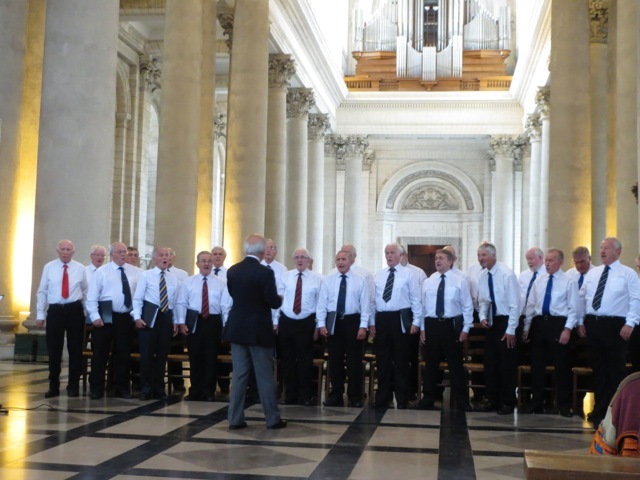 He was also guest conductor with the Huntingdon Male Choir at the Cornwall International Male Choir Festival and directed them in a concert later in the year. 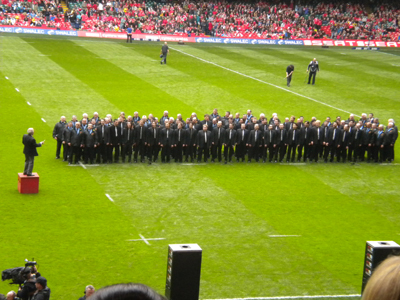 Haydn conducted his 10th 1000 Voice Choir in June 2012, this time at the Millennium Stadium, rather than at the Royal Albert Hall, having assembled a choir of almost 2000 voices for Wales’ game against Australia in December 2011. 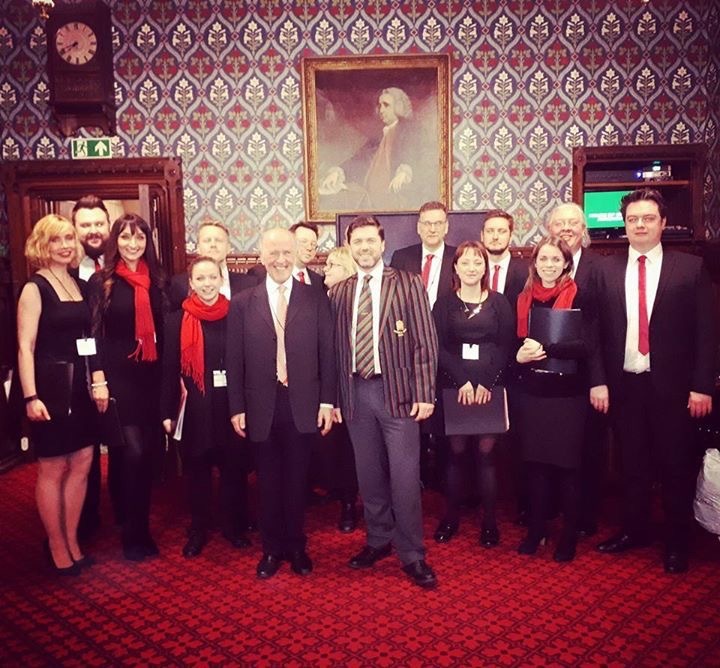 He was appointed chorus master and European Director at the ‘London Welsh Choir of the World held in London in July 2012 prior to the Olympic Games. 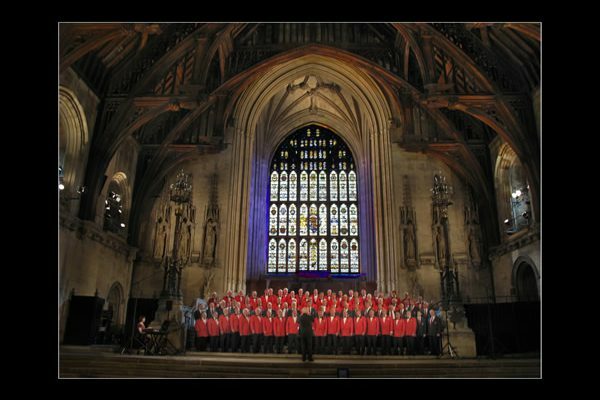 The photograph alongside shows Haydn directing a combined London Welsh chorus at the Commonwealth Carnival of Music at the Palace of Westminster as part of the Diamond Jubilee celebrations for Her Majesty The Queen. Haydn is President of both the Rushmoor and Brecon Male Choirs, and is a Vice-President of the London Welsh Male Voice Choir, the Maesteg & District Male Choir, the Morriston Orpheus Choir and the South Wales Male Choir ( Côr Meibion De Cymru ); he has recently been honoured with an appointment as Patron of the Australian Welsh Male Choir, succeeding the late Dame Elizabeth Murdoch, as well as becoming a Vice-President of the Pendyrus Male Choir, and Honorary Patron of both the Romsey and Pontarddulais Male Choirs. 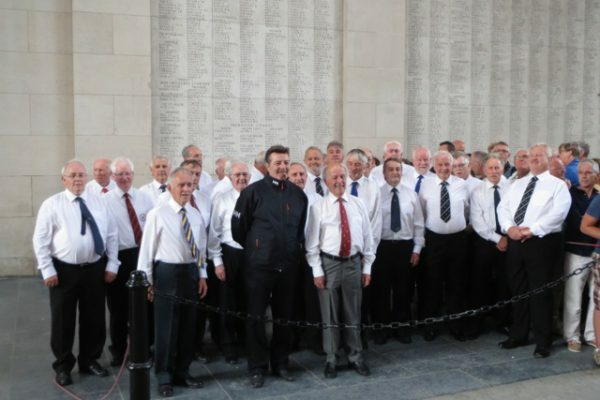 Haydn is an Honorary Member of Côr Meibion Gwalia and the Treorchy Male Choir and has been guest conductor with both of these choirs on a total of fifteen occasions in the past three years. 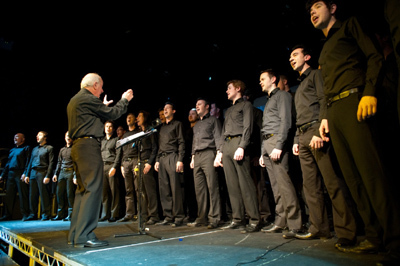 He also conducted the Rushmoor Male Voice Choir at their recent Annual Concert in Aldershot, as well as making guest appearances with Côr Y Boro and Eschoir, and appeared at the 2016 London Welsh Festival of Male Choirs at London’s Royal Albert Hall to conduct his own arrangement of ‘Working Man’. He continues to work as Musical Director for the Welsh Rugby Union and is currently preparing for all eight of the home internationals in the 2018/2019 season, He has also been the British representative on an international panel of adjudicators at choral competitions in Krakow, Poland.